VIENNA, Dec 7 - RIA Novosti. 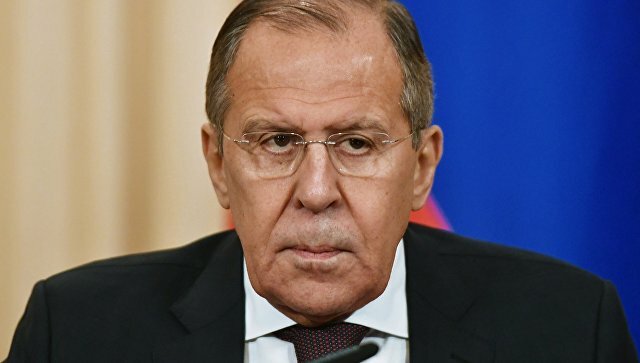 It is necessary to work out concrete confidence-building measures in the field of cyber security, instead of shaking the air with unfounded accusations, Russian Foreign Minister Sergei Lavrov said. "We need a responsible behavior of states in the information space, which is increasingly used for illegal purposes." We call on to focus on the development and implementation of specific additional confidence-building measures in the interests of ensuring cybersecurity, rather than shaking the air with unsubstantiated allegations, without a single fact, "the Russian minister said at the plenary meeting of the OSCE Ministerial Council in Vienna. Must Read: Azerbaijani hackers cracked over 1 thousand passwords of Armenian Facebook users. In October last year, US authorities claimed that the government of the Russian Federation was involved in hacker attacks, as a result of which details of correspondence of members of the National Committee of the Democratic Party and the letters of the chairman of Hillary Clinton's staff John Podesta were at the disposal of the WikiLeaks portal. Later, the CIA, through the media, accused Russia of hacking the party servers of the Democratic Party to help Donald Trump, who won the presidential election on November 8. Must Read: Reuters: One of the accused of hacking Yahoo Karim Baratov admits guilt . Russian President Vladimir Putin, speaking of accusations, stated that in the published data there is nothing in Russia's interests, and hysteria is being pumped to divert attention from their content. Commenting on Hillary Clinton's statements about alleged Russian interference in the election campaign, Russian presidential press secretary Dmitry Peskov called accusations against Moscow "absolutely unsubstantiated."